Remove the audio tracks from your existing videos in a quick and easy way, while keeping the video resolution and quality intact. you don't want your friends to hear everything that was said during the video. you want to remove an annoying background noise, to focus on the images only. Q : The app is taking a lot of disk space. Is there a cache cleaning function? The app does not really cache any data. by using the internal recording screen of the app. by opening a video from another application into the app (using the Open-in iOS feature). To avoid loosing this input video, it is saved temporarily in the document folder of the app. This temporary video will be automatically erased as soon as another video will be opened in the app. So if you have recorded a very big video, and you need some disk space as soon as possible, just open another existing video, when you have done with the recorded video. to import a video from his computer. to export a video to his computer. Once the video is not needed anymore, it is up to the user to delete it manually (using another time his computer). In case the iTunes File Sharing folder was used unintentionally, and the user wants to remove the files contained in it, without using his computer, he can, as a workaround, un-install and re-install the app. This will have the effect to reset the app content (including the iTunes File sharing folder). For information, the temporary video mentioned in the 1st part is stored in the same document folder which is accessible through iTunes File Sharing. Note: This folder will be backed up by iCloud, if this option is activated in the iCloud general settings. Q : I'm on iOS8.0 (or higher), and the application does not display most of my videos. Why ? 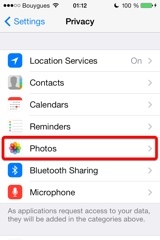 It is highly possible that you have ICloud photos enabled on your iPhone. ICloud photos automatically moves your old photos and videos from your camera roll to the cloud. Your camera roll (Recently added) containing only your most recent videos (and photos). 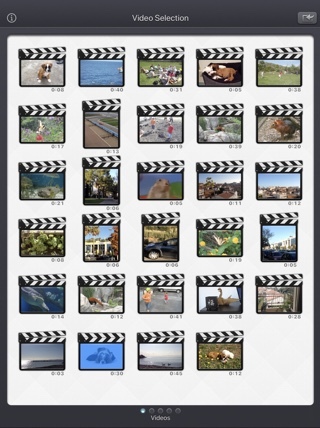 The app displays the videos that are in the camera roll, this is probably only a few videos can be seen. In the photo app, you can download back a video from the cloud to your device (in the camera roll). 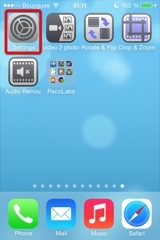 Adding a video to an album in the photo application of your device, should permanently keep the video in the device. The app can display the videos in your albums if you swipe to the right, once in the video selection screen. Alternatively, the app can be used as an Extension, so you can launch it directly from the photo app, with any of your video selected. Q : The videos in my Camera Roll are not accessible. How to solve that problem? 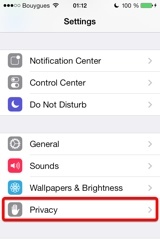 You must go to the Settings application -> "Privacy" -> "Photos", and set the app (Audio Remov.) to ON. Q : The videos imported from my computer are not accessible. How to solve that problem? The videos you have imported are most probably located in the Video app of your device (and taken from the Movies folder in iTunes). Unfortunately, Video Audio Remover (and every other app from the Appstore) cannot access those videos in the Video application yet. They are the ones recorded with your camera, but you can also import videos to this Camera Roll from your computer using iTunes, the same way you would import your photos. Audio Remov., also supports the iTunes Files Sharing feature, so you can manually add some external videos to Video Audio Remover quite easily. The suggested file format of the videos is Apple QuickTime .mov. Other file formats like .mp4 or .avi files are also supported but might raise some compatibilities issues. Q : How can I delete videos that have been loaded? In case the video to be deleted is located in your Camera Roll, go to the Photo application and you'll be able so see all your videos (and photos). Once the video is selected, use the dedicated button to delete it. Q : What video formats can be read? The video decoder used in the app is the one provided by Apple. It is able to support all the video formats that are handled by the device itself. It might depend on the model and iOS version you are using. Ability to navigate back by swiping the finger from the left side of the screen. 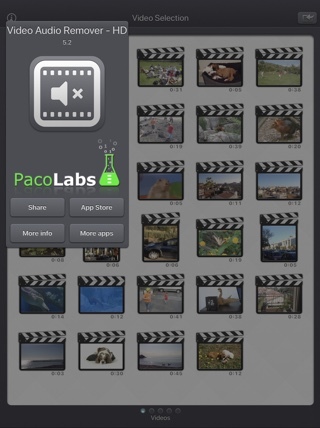 In the video selection screen: you can preview the video, get information and access options (such as delete) by pressing and holding down a video thumbnail. When selecting a video, a cloud icon is now displayed under the thumbnail, if the video must be downloaded before opening it. When the video is opened from the Files application (or file selector), it is no longer temporarily duplicated internally. Improved support for exotic videos (bitrate / framerate / clean aperture / pixel aspect ratio related improvements). Improved support for slo-mo videos on older devices such as the 1st generation ipad Pro or iphone 6. Fix to avoid a delay before the video selection screen is displayed when there are a lot of videos to display. Media can be imported into the application using the standard photo picker (its content is similar to Apple's Photo application). Media can be imported into the application using the standard file picker (its content is similar to that of Apple's Files application). 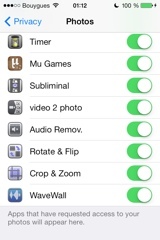 When the media is saved to the camera roll, it is automatically associated to an album named "Video Audio Remover". The previously selected video is now highlighted in blue in the video selection screen. iTunes File Sharing has been renamed File, since it is now possible to access media using Apple's File application as well. The iTunes File Sharing folder is now visible/modifiable in the Apple Files application. The exported video will be HEVC if the input video is HEVC. The filename of the exported video file is now prefixed by the original filename of the source video, followed by the current date and time. The request for review popup is displayed less often. A small tutorial is displayed while using the app to learn the basics. The duration of the video is now displayed below the thumbnail in the video selection screen. 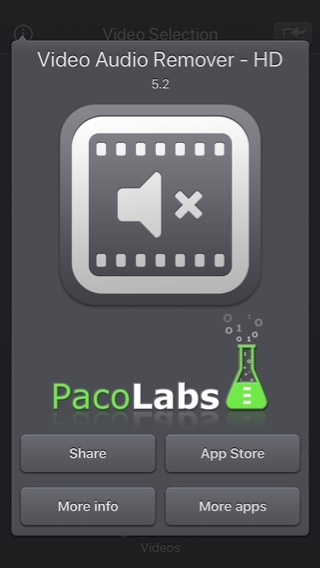 Here is the latest version of Video Audio Remover! Improvements for iOS11 and iPhone X.
GPS and date of creation are kept when the media is added to the Camera Roll. Videos are now sorted by modification date in the "Recently Added" folder and by creation date in the other folders (Photos/Favorites/LivePhotos). Change : small fixes and improvements. New : Photo Cloud compatibility. 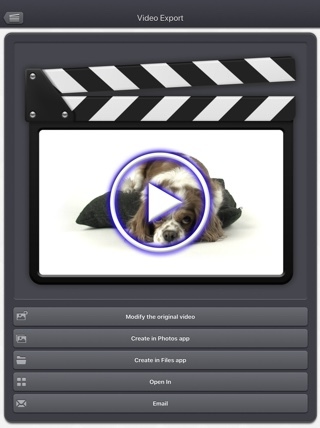 All your videos, even the ones in the cloud can be used in the app. New : 3D Touch support. 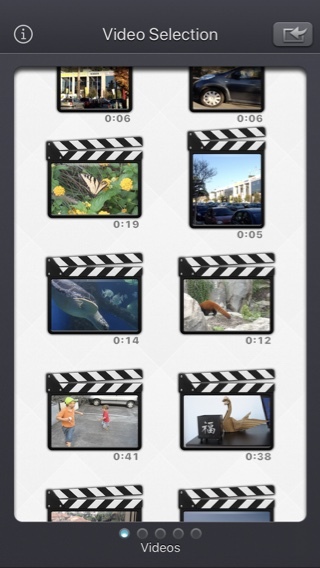 A new Quick Action is available in the main screen : open the most recent video in your Camera Roll. New : Live Photos support. It is possible to open the video part included in a Live Photo, like you are used to do it with your videos. New : Extensions - A live Photo can also be imported directly from other applications like the Photo app. New : iPad Pro compatibility. Enjoy the app on the big screen of your iPad Pro. New : Multitasking support. Thanks to Split View, use another application at the same time. The layout of the app is adjusted accordingly. New : App Thinning & Bitcode support. The disk space taken by the app has been highly reduced. Fix : Various fixes and improvements. New : Action Extension. It is now possible to remove the audio of your videos and export them, directly inside another application (like the Photo app). New : Photo Extension. It is now possible to remove the audio of the selected video, directly inside the Photo app. Fix : Small fixes and improved stability of the application. New : iPhone 6 and iPhone 6 plus support.